Who has not heard about it? Who was not able to experience it? Who has not wished that it happens? This nostalgic post is brought about by watching Titanic and The Notebook all in one sitting. And I admit, I miss being in a relationship. I miss the feeling of being in love. It has been such a long time that I am starting to wonder how it feels to be in a relationship. Both are heart warming, tears inducing and full of lessons. Titanic is a Romeo and Juliet story set on a ship and so is The Notebook, except that it’s not set on a ship but in a summer house. Guess what the two movies really brought to my mind? That love entails sacrifice. Indeed, we can truly say that we love somebody when we can make sacrifices for them. When we do tough tasks but still manage to be find joy, when even the direst situation can bring out our optimistic nature and when we take risks of getting hurt just to protect the one we love, indeed, that is love. Take the story of Rose and Jack in Titanic. Rose turned her back on her family and the luxury and safety that it could provide just so she can save Jack. Him, on the other hand, provided Rose the strength and encouragement to keep fighting, to never let go, even if it entails giving up his own life on the process. Titanic…a movie that will never fail to touch my heart. Look at how Noah patiently retells their love story to Allison everyday, so she can remember that she made the right choice. How painful must it be for him to see that one woman she truly love totally forgot about their life together. Or on how Allison decided that her best life will be with Noah. The bottom line is, love is good. Love is great. And, as aptly putted by Nicholas Sparks in his novel (The Notebook), the best kind of love is the one that touches the heart and warms the soul. PS. If only I have the courage to show to the man I love what I feel. Anyways, this is it for today. I was in San Fernando Pampanga for a brief training regarding geo tagging for employees of DA-RFU 3. I knew beforehand that we have a very tight schedule to follow. So, I made up my mind. With the small amount of free time, I will try to explore, learn and do something different while I am in the area. 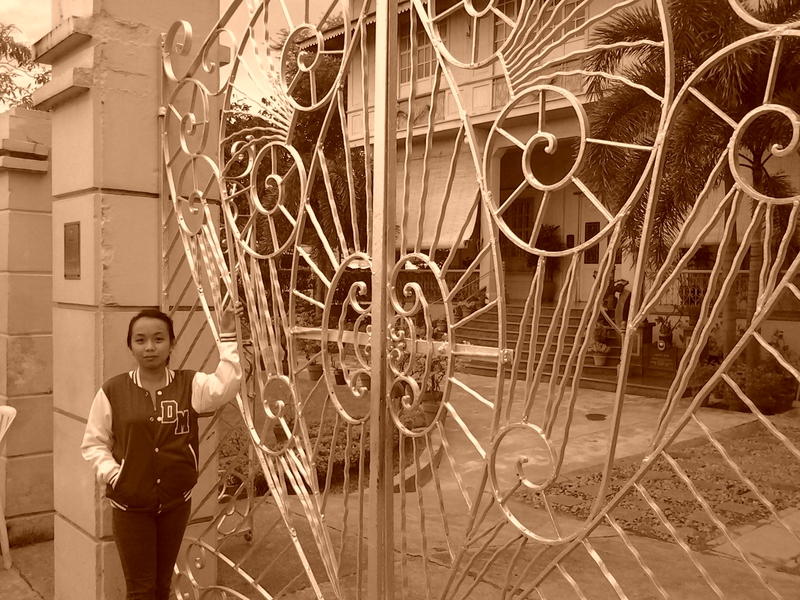 First stop, the historical Lazatin House. Me and my fellow trainer discovered this place while walking back to the venue from SM San Fernando after dinner. At first, it didn’t really caught my attention until I noticed that there was a guard standing at its gate. My inquisitive nature hits full gear, so I approached the guard and asked. I can’t help but notice the amused twinkle in the guard’s eyes. Maybe he found it amusing that I knew nothing about the place. Admittedly, I was clueless. 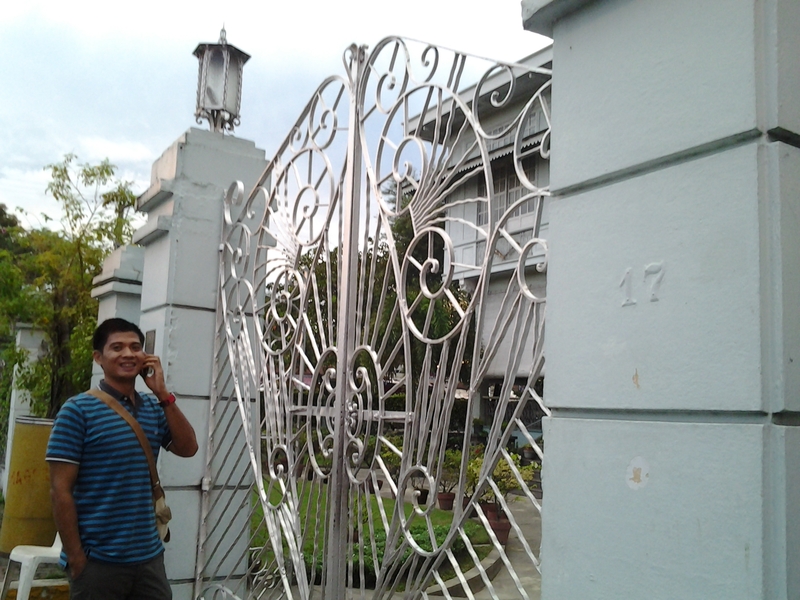 So, I asked my friend to pose at the gates of Lazatin House and I started taking photos. For more information about the Lazatin House, please click this link :http://traveleronfoot.wordpress.com/tag/lazatin-house/. 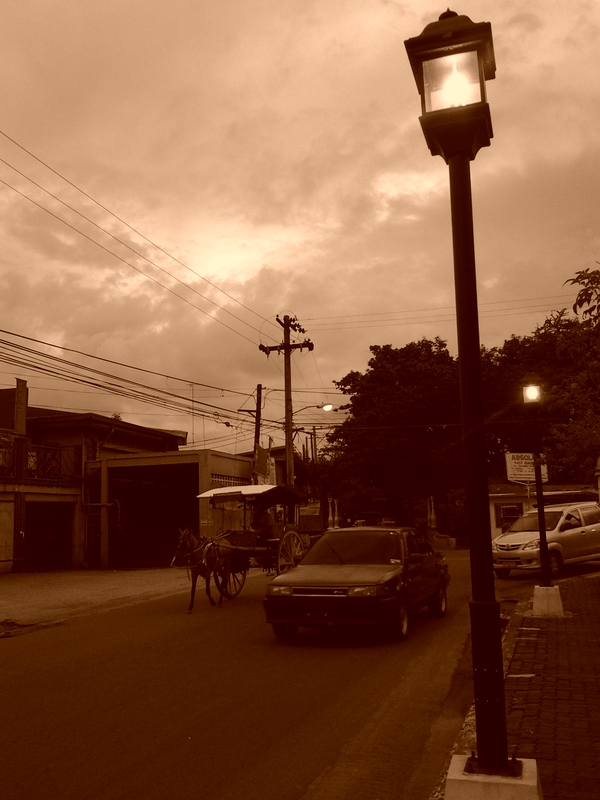 I was truly amazed at the rich history of San Fernando, Pampanga. 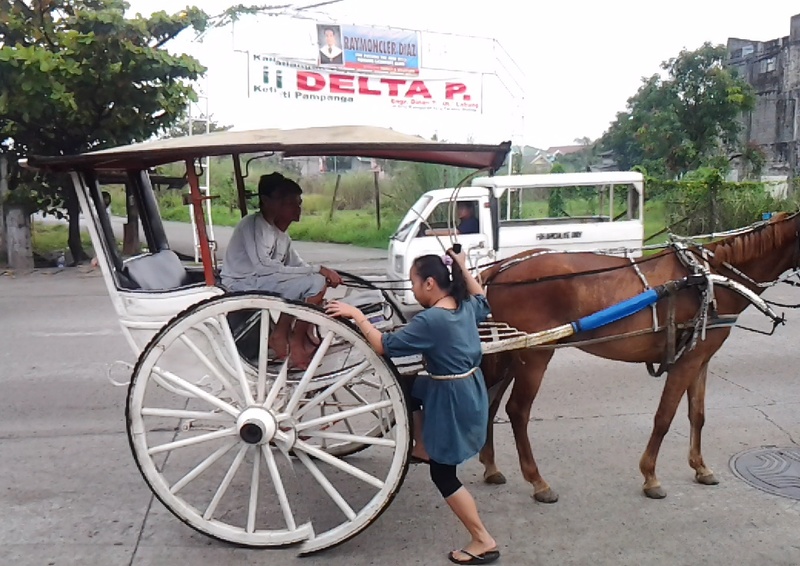 Another event that made my trip worth memorable was waking up very early to enjoy a calesa ride. 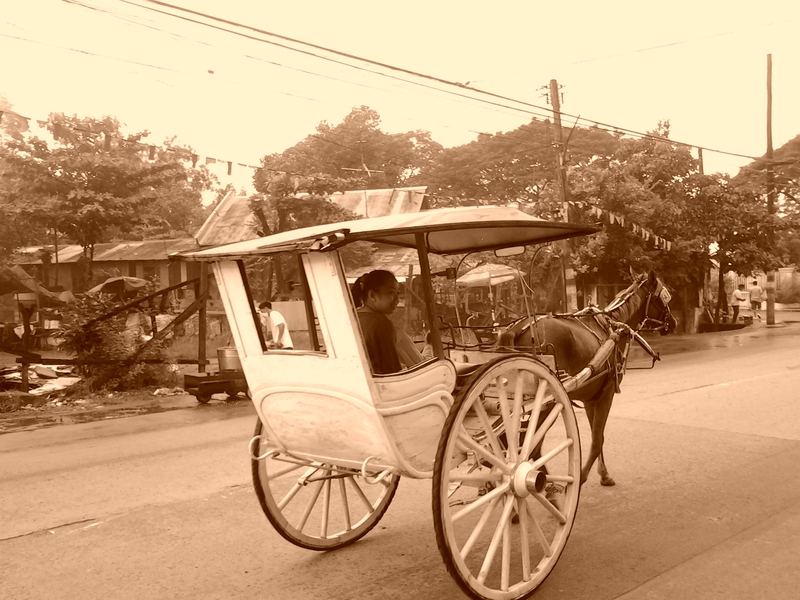 I’ve been wishing to ride a calesa ever since I was a kid but the calesas in Manila are too expensive! 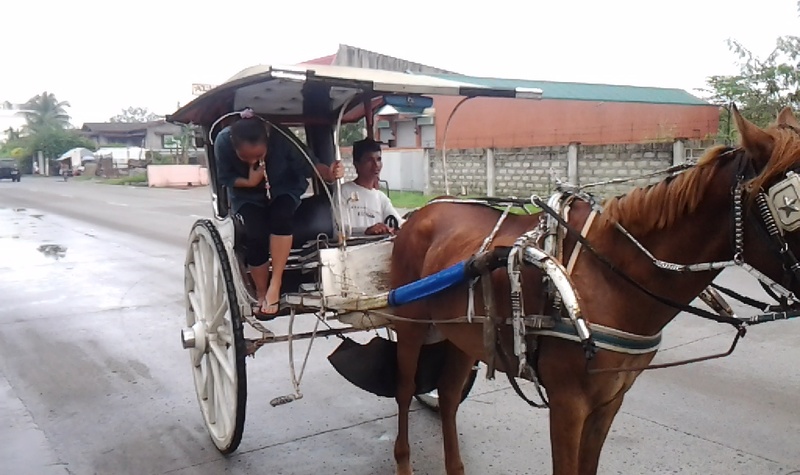 For Php 20.00, I was able to fulfill one of my greatest dreams in life : a calesa ride.